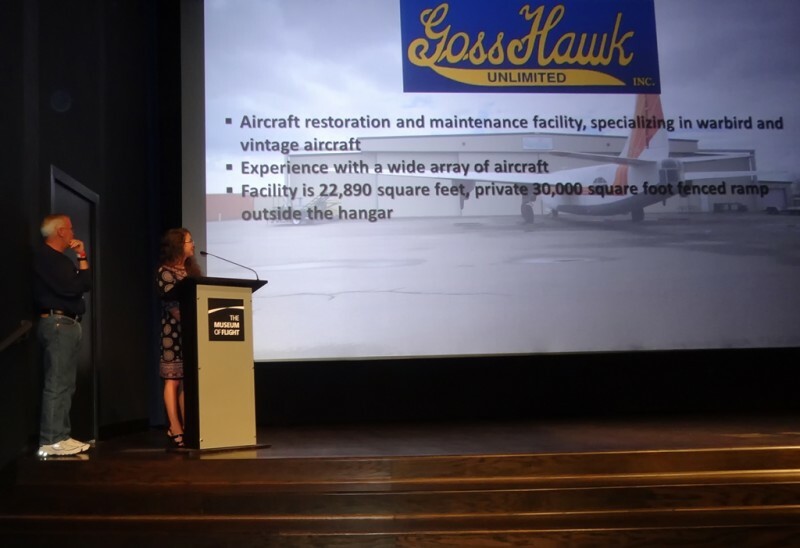 GossHawk Presents at the Aviation Archeology Symposium at the Seattle Museum of Flight | GossHawk Unlimited, Inc.
GossHawk Unlimited participated in the first ever Aviation Archeology Symposium, put on by the Seattle Museum of Flight. The event was a success! The presenters were great and had interesting information. Megan Lickliter-Mundon gave a great presentation on underwater aviation archeology, she provided three examples, which were all fascinating! Mark Allen of Underwater Admiralty Sciences gave a very entertaining presentation in which he discussed the trials and tribulations faced while recovering the A-20 Havoc; he also touched on the recovery of the B-17G, Liberty Belle, from Labrador, Canada. John Sessions gave a brief history on his P-51 Mustang, “Impatient Virgin” and also talked about the recovery. Adrian Hunt discussed the aircraft wrecks in Russia, giving past examples as well as potential for more planes to come out of Russia. Nick Veronico, author of Hidden Warbirds: The Epic Stories of Finding, Recovering & Rebuilding WWII’s Lost Aircraft”, talked about his adventures of researching and visiting different crash sites. 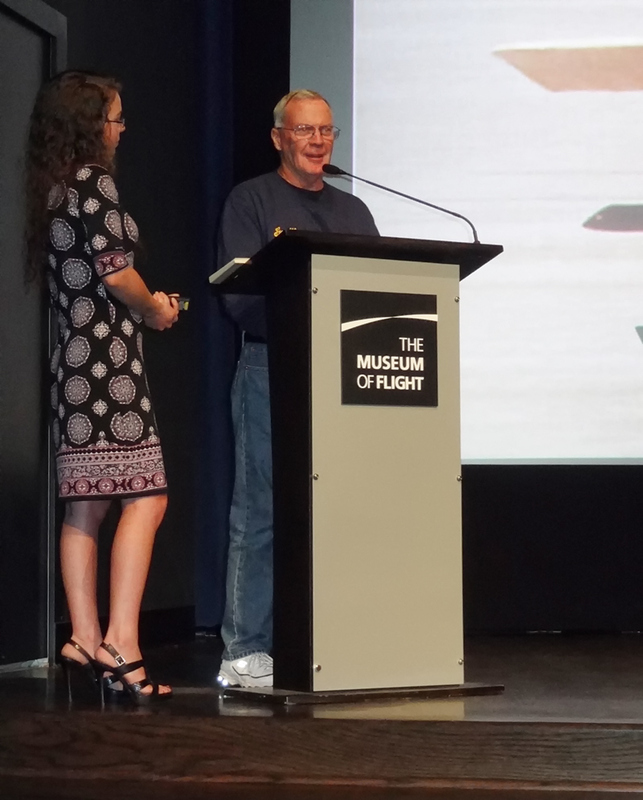 The weekend concluded with Pete Wallingford and Dan Hagedorn, the Museum Curator, presenting on the recovery of the Museum’s FG-1D Corsair from Lake Washington. These were only a few of the speakers that presented over the weekend, the ones that I was able to sit in on. 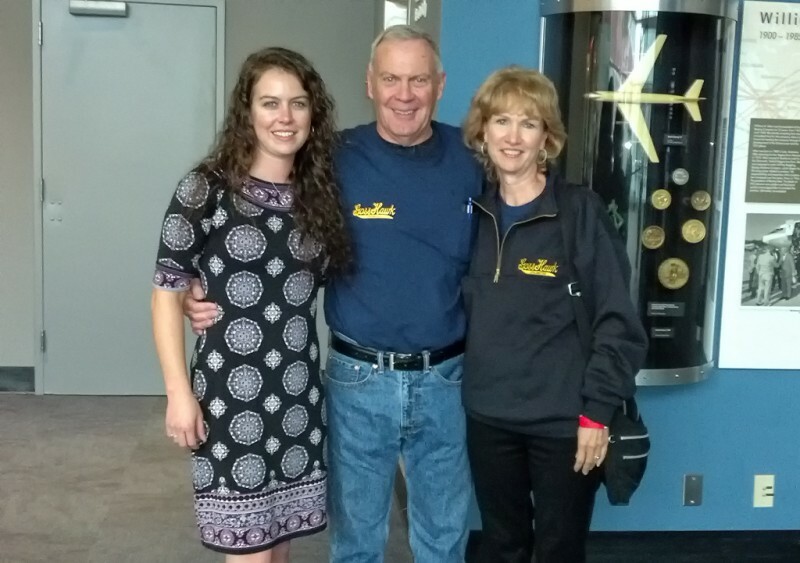 GossHawk Unlimited was very honored to be invited to speak at the Aviation Archeology Symposium. Some of the topics we discussed included: funding and how it directs a project, static vs. airworthy, original vs. new fabrication, an original and airworthy aircraft, documentation, and examples of these different projects. We concluded our presentation by talking about how we fit in directly with the Seattle Museum of Flight. So how does GossHawk tie in? Well, Dave restored and maintained many of the aircraft in the Champlin Collection, and the Champlin Collection now lives on at the Seattle Museum of Flight and can be seen in the Personal Courage Wing. 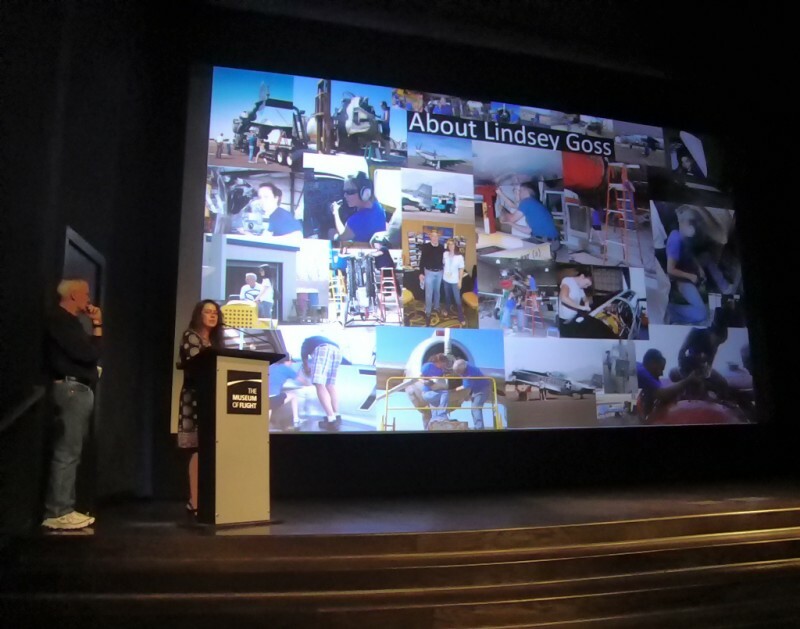 Lindsey and Dave Goss presenting at the Aviation Archeology Symposium, Lindsey is giving a background on GossHawk Unlimited. 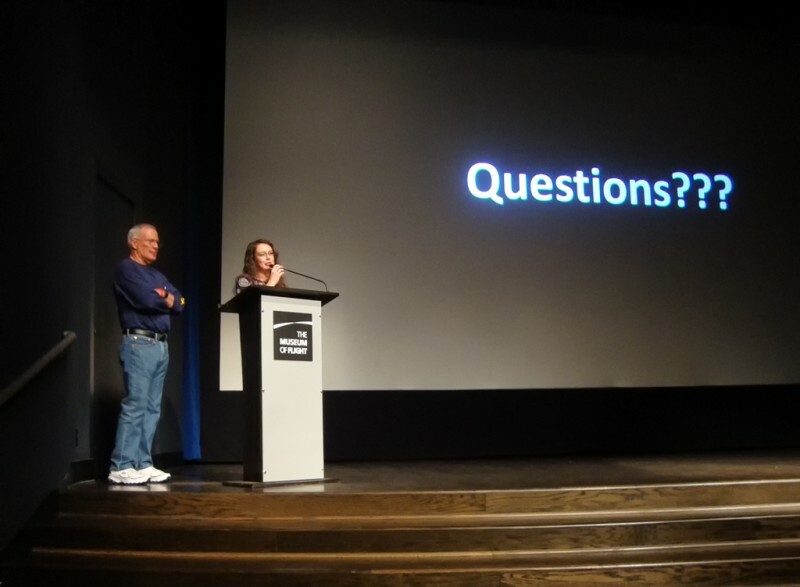 Lindsey and Dave Goss presenting at the Aviation Archeology Symposium, Lindsey is giving a biography on herself. Dave and Lindsey Goss presenting at the Aviation Archeology Symposium, Dave talks about the Aviatik and how she is airworthy but static. Lindsey and Dave Goss wrap up their presentation. Lindsey, Dave, and Connie Goss collaborate after the presentation. 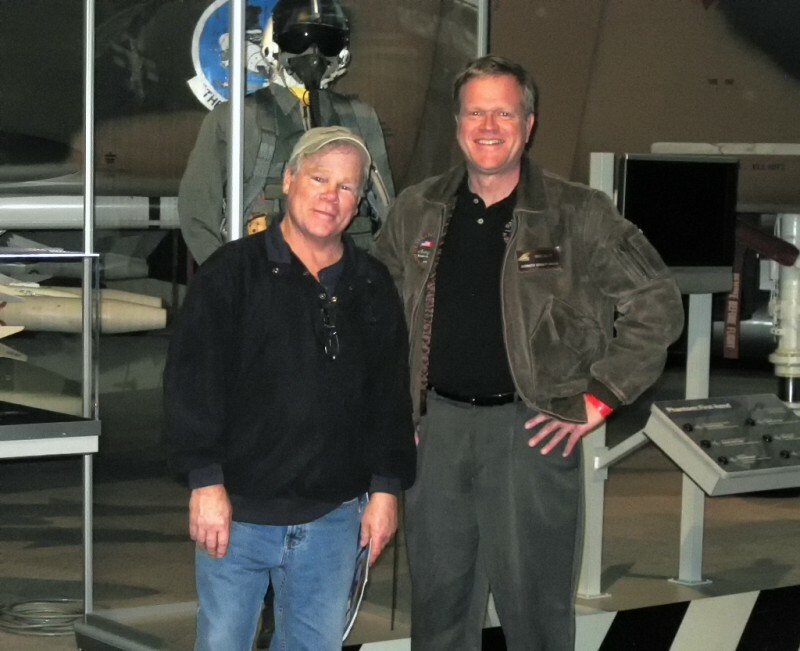 Tom Cathcart (left) and Mark Allen (right) explore the Museum after the Symposium, they are great friends of ours! 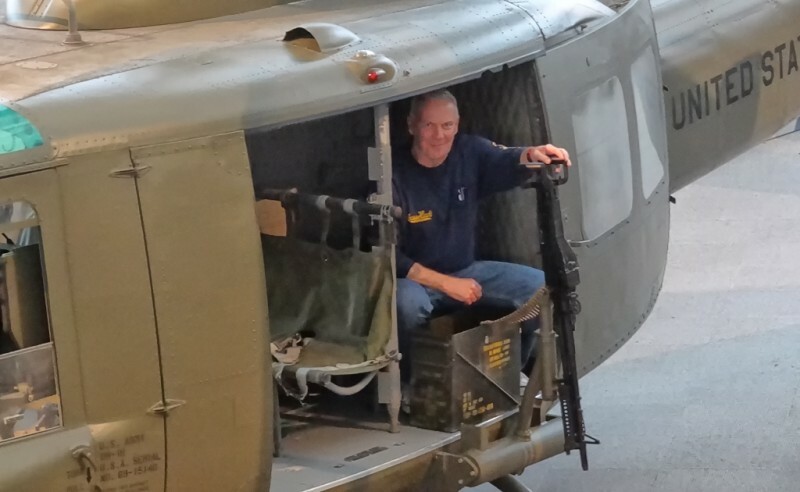 Dave Goss sits in the Museum’s Huey, this is the type of aircraft Dave flew on in Vietnam. 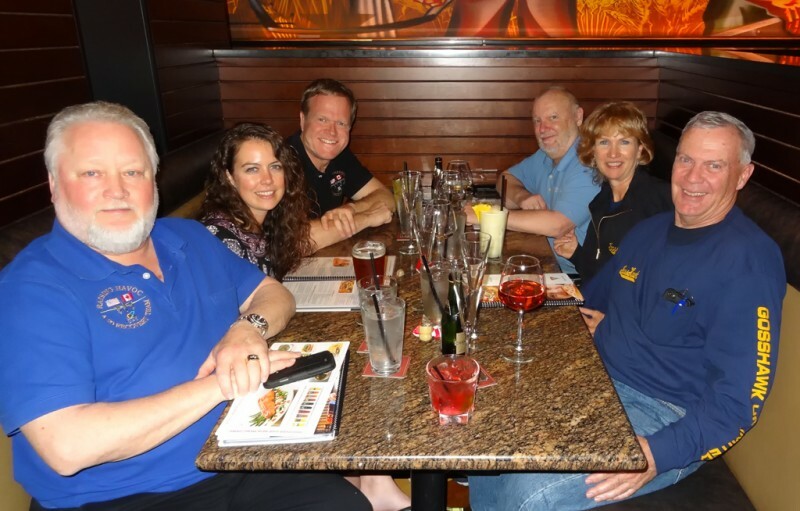 Bob Mester, Lindsey Goss, Mark Allen, Dave Goss, Connie Goss, and John Goss celebrate a successful event!